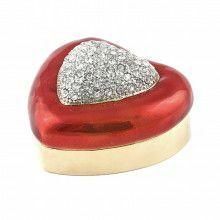 This charming heart shaped trinket box is made of a spun-cast metal alloy before being hand enameled by a master artisan. 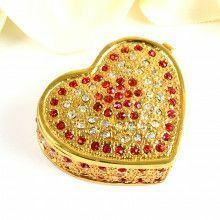 The box features gold-plated trim, and an array of Austrian crystals. The Austrian crystals were hand-placed one by one to make sure each was just right. 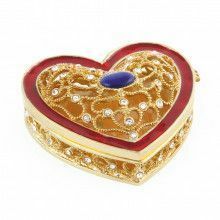 The inside of this box is also hand-enameled. 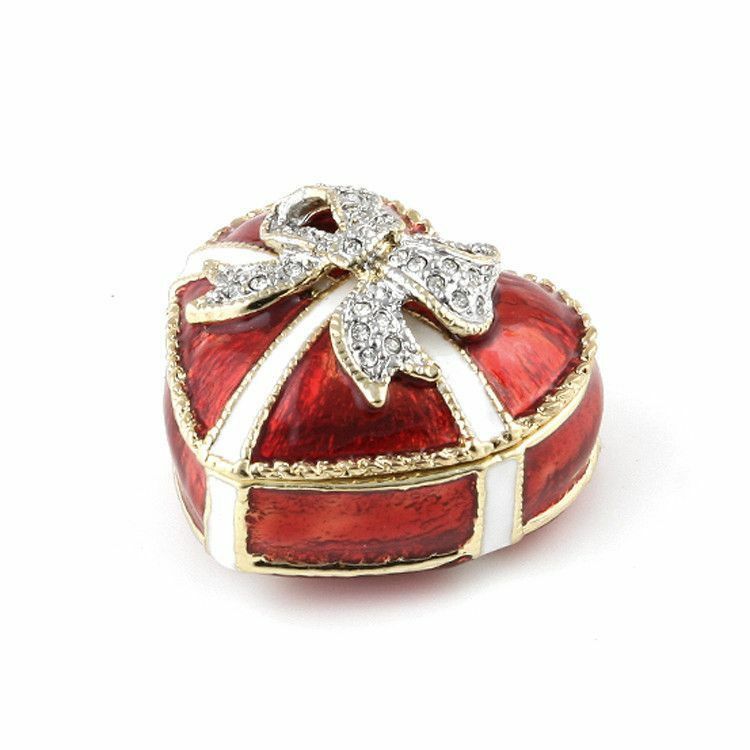 The box opens and closes easily with the help of a magnetic clasp. 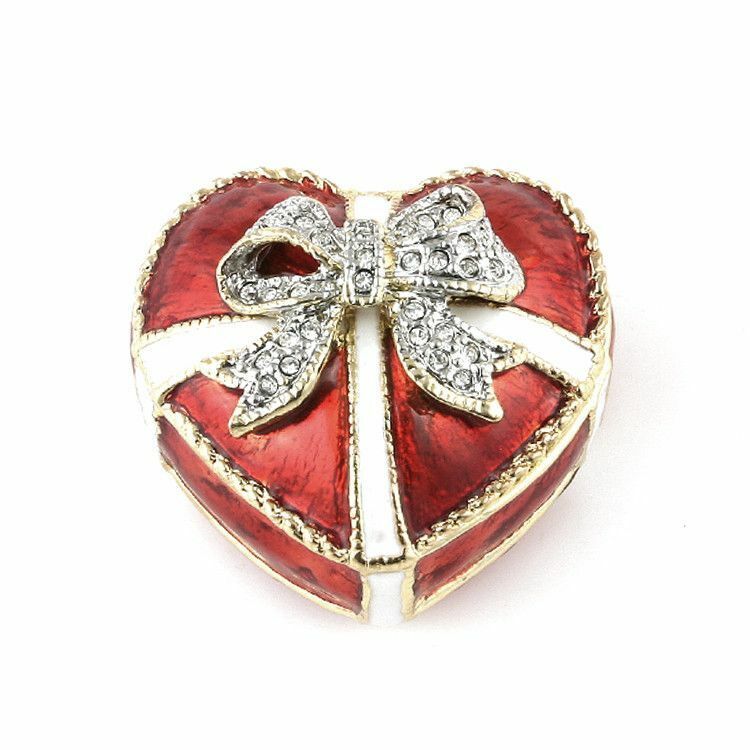 The clasp makes it no problem to open, but it allows it to close securely.